Luke Munday faces court over the alleged assault that was livestreamed. SYDNEY gamer Luke James Munday, accused of assaulting his partner while livestreaming to his thousands of followers, has appeared in court. Mr Munday, 26, was charged with common assault on Sunday, hours after his camera captured audio of his 21-year-old partner screaming and crying after claiming she had been hit in the face. 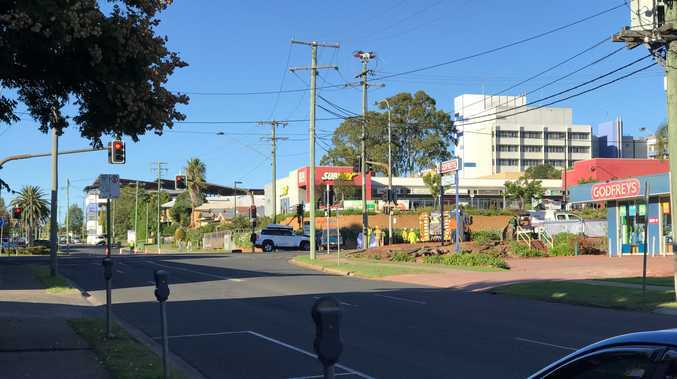 Representing Mr Munday at Camden Local Court, Steven Mercael from the Australian Criminal Law Group sought an adjournment for the 26-year-old and asked for him to be excused from his next court date. "There is a lot of attention around this case," Mr Mercael said. "On the alleged victim, and the client." Magistrate Ian Cheetham adjourned the case to January 10 in order to give Mr Munday time to receive adequate legal advice and agreed Mr Munday would not have to appear at his next court date. Mr Munday showed no emotion as his lawyer applied to have the matter adjourned. Looking straight ahead, the 26-year-old let out a slight smile when the magistrate agreed to let him miss his next court date. He didn't say anything when he left court. 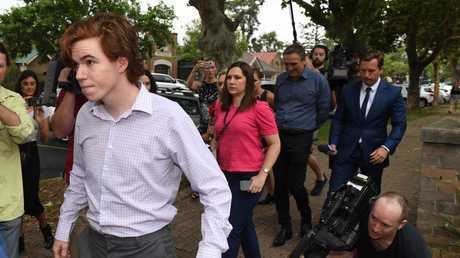 Mr Munday was forced to navigate a thick media pack both arriving and leaving the courthouse with the scuffle resulting in one cameraman falling backwards. Snippets from Mr Munday's livestream went viral earlier this week, which appeared to show him slapping his partner off camera while their two girls screamed and cried. After Mr Munday's arrest, police made an application for an AVO. In court today, his partner wrote a letter supporting the AVO but applied to have a condition changed, but police denied the request. On Tuesday, Mr Munday said his partner would "corroborate" his story. in The 21-year-old did not appear in court today. 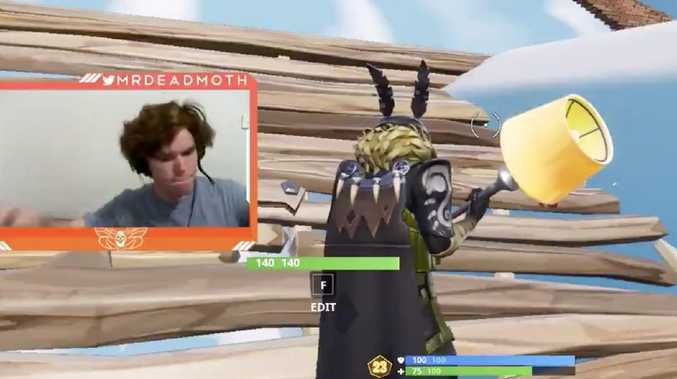 In the original video stream, Mr Munday, also known by his Twitch streaming name MrDeadMoth, was heard telling his partner to go away as she approaches him. The gamer is then seen stepping away from his camera - leaving the livestream to keep recording - before a noise that sounds like a slap rings out. His partner can be heard crying off camera. Later in the video, Munday leaves his computer again as the couple's children can be heard screaming and crying "Daddy" in the background while his wife sobs off-camera. Police later confirmed two girls aged three and 20 months were home at the time of the livestream.